Jez Nelson presents two contrasting contemporary approaches to the piano trio, with performances from New York's Matthew Shipp and Scandinavian/British group Phronesis. 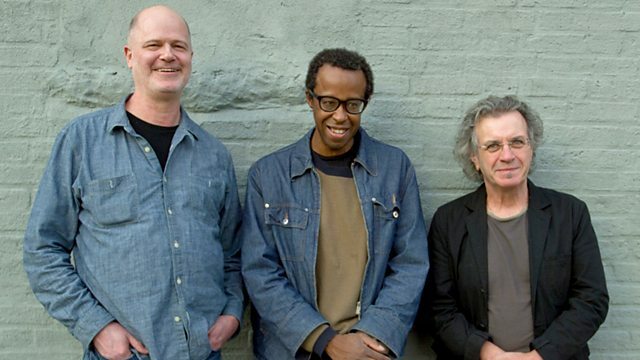 Jez Nelson presents two contrasting contemporary approaches to the piano trio from New York's Matthew Shipp and Scandinavian/British group Phronesis, led by bassist Jasper Høiby. Pianist Matthew Shipp is not a musician short on artistic certainty. "I continue to pursue my own unique brand of piano language," he has said this year in relation to his latest studio recording; and of the trio he brought to The Vortex for the 2012 London Jazz Festival, he was confident that there was "no precedent" to what the group do together on stage. With bassist Michael Bisio and drummer Whit Dickey, Shipp sets off on an improvised journey that travels through recognizable tunes and originals to somewhere beyond. And while the spiritual music of America's free jazz tradition is no doubt a key reference point (Shipp was pianist of choice in the late David S. Ware's famous '90s quartet), the group does seem to possess a distinctly fresh approach to what is one of jazz music's oldest configurations. An evident delight for tight-knit grooves and a shared ear for anthemic melody unite Ivo Neame (piano), Anton Eger (drums) and leader Jasper Høiby (double-bass) in Phronesis. With four albums to their name, the band have begun 2013 on a high, touring Australia and Europe. In this performance from 2012, recorded at London's King's Place, the band are at their free-flowing best, working through a set of compositions by all three band members and in the process offering up a different and equally-invigorating idea of what the acoustic piano trio can be. Posting Joe - Celebrating Weather Report.